Photograph of G-ABYP taken during Dunlop’s visit to Prague aerodrome, Czechoslovakia on September 3-6, 1932. Dunlop's Aviation Division purchased this Puss Moth in August 1932 and fitted it with its new differential braking system. This Post-Dunlop photograph was taken on August 31, 1947 seconds before the aircraft was destroyed at Eaton Bray. There were no human casualties. 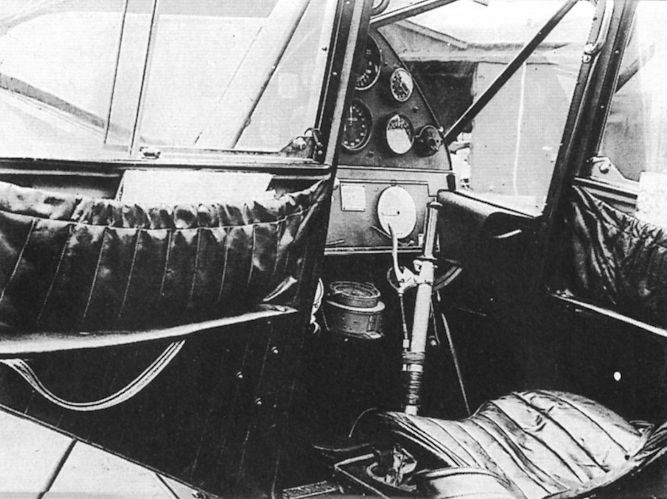 The cabin interior of Puss Moth G-ABYP, showing the control column and the lever with which the pilot controlled the brakes.